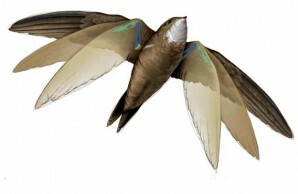 Swift wings, compared with those of typical birds, have proportionately large wingtip bones (green), giving added maneuverability in flight. By changing the angle between the wingtip bones and the forelimb bones (blue), swifts alter the shape and area of their wings, thereby maximizing their efficiency at various speeds. IIn 2006 when the U.S. military retired the F-14 Tomcat—of Top Gun fame—the most successful experiment in “swing-wing” airplanes was also grounded. Such planes rely on an intuitively appealing design idea: change the shape of the wing in flight and you can optimize the plane’s performance over a range of speeds. Unfortunately, even as the best of its kind, the Tomcat was a poor imitation of its biological inspiration—birds that morph their wings in flight. It’s been hard, though, for engineers to disentangle the wing changes in birds that are aerodynamically advantageous from the changes a wing must make for flapping. Now, thanks to an elegant study of swifts, investigators have their first empirical look at the effects of variable wing shape on bird flight. Swifts belong to the family Apodidae, which literally means “without feet” in Latin. Footless may be a bit of an exaggeration, but it’s pretty near the mark. The birds’ tiny feet seldom touch down because feeding, courting, and even sleeping all take place on the fly. Because swifts glide for long distances—without complicating things for observers by flapping their wings—and because they change the geometry of their wings in flight, they make an ideal bird with which to study the advantages of wing morphing. Overall, the swift wing resembles a long, thin, curved blade that tapers to a sharp point, much like that of a scythe. Structurally, the wing closely resembles your arm: remove or fuse a few bones, add some feathers, and you just about have it. When the wings flap, as when your arms do, chest muscles power their motion. In essence, those sets of bones give swifts, and all flying birds, two feathered airfoils on each wing, crucial to flapping in flight. One airfoil is made up of primary flight feathers attached to the wingtip bones. The other is formed by the secondary flight feathers attached to the forelimb bones. The swift, however, gains added maneuverability by having an unusually large proportion of its wing made up of the “hand,” or wingtip, bones, compared with typical birds. By changing the “wrist” angle between the “hand” and forelimb, the swift can change both the shape of the wing and its area [see illustrations left]. David Lentink, a biomechanist at Wageningen University in the Netherlands, and a team of aerodynamicists from the Netherlands and Sweden measured swift wings in a range of natural flight configurations. 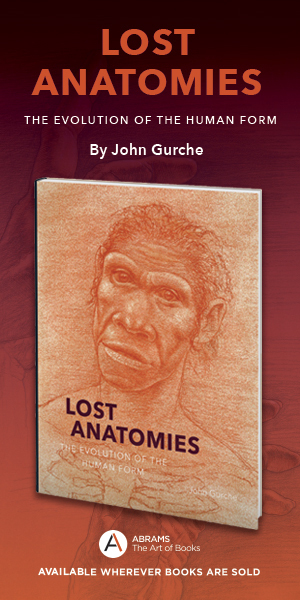 One of the most important factors, they discovered, is the aforementioned angle between the hand and the forelimb. Folding the wrist knocks a whopping 30 percent off the wing area. Lentink and his colleagues also attached wings (from birds that had died in sanctuaries) to a finely calibrated balance in a wind tunnel, to measure how various wing geometries alter drag and lift. Drag is the force that acts in the same direction as the airflow, whereas lift acts perpendicular to airflow. Drag and lift, along with a bird’s mass, determine the biologically important variables of gliding flight. For swifts with unfolded wrists and outstretched wings flying in a straight line, Lentink and his colleagues determined that a speed of about twenty miles an hour gives the birds the maximum gliding time and the steadiest flight path for the least energy. So even though outstretched wings provide more drag, the wide spread gives a lot more lift for level flights.